Love lighthouses? Then this DIY cork coaster project will be right up your alley! Each coaster takes less than 5 minutes to make, so you could have a whole set of them in no time at all. I have always been fascinated by lighthouses and try to visit as many as I can each summer. So it shouldn’t be surprising that I adore making home decor items that feature lighthouses. I made these stamped coasters with the Stampin Up High Tide Stamp set. Making coasters was the first thing that came to mind when I got that stamp set. I now have a set of these pretty lighthouse coasters gracing the end table in my living room. I have quite a few more lighthouse craft ideas that I want to make with this stamp set, so watch for those in the near future. Want to make a set for yourself or to give to a friend who loves lighthouses? They are quite simple to make! 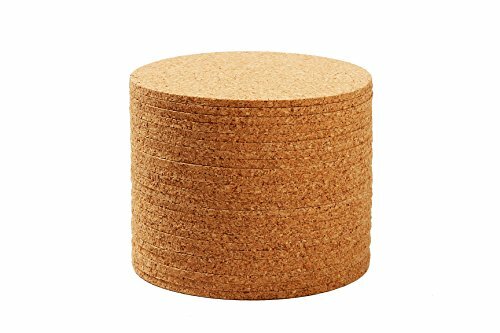 Prefer written instructions for these stamped cork coasters? The High Tide stamp set is a 2-step stamp set that allows you to get more detailed images. You first stamp the detailed base stamp (the one with the railing details) and then stamp the top stamp over it. This gives you shading and realistic detail that you couldn’t get with just one stamp. Stamp the base lighthouse stamp using black ink. I centered the lighthouse from left to right and placed it closer to the top. Refer to the picture for how I placed mine. Stamp the top lighthouse stamp in Real Red ink. This is a photopolymer stamp so it is easy to see through for exact placement. Use Crushed Curry ink to stamp the rays of light. Use Crumb Cake ink to stamp the sand. Stamp the lighthouse image on a scrap piece of paper and cut out. This will serve as a mask so you can stamp the water right up to the edge of the lighthouse on either side. Use Pacific Point ink to stamp the water on both sides of the lighthouse. Spray the coaster with at least 2 coats of acrylic sealer, allowing to dry thoroughly between coats. 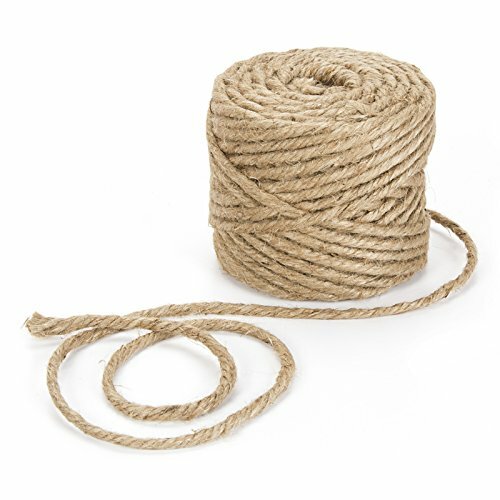 Use hot glue to adhere jute to the edge of the coaster for a rustic feel. Use darker colors of ink for stamping on cork. Light colors won’t show up as well. Don’t touch the stamping. It smudges easily. The ink doesn’t absorb into the cork like it does on paper and will smear easily. After stamping on cork, you might find it beneficial to run a blow driver over it to help the ink dry faster. To make sure that the ink doesn’t rub off when touched or run if exposed to water (like is the case with this DIY cork coaster project), spray it with at least 2 coats of acrylic sealer. Looking for ideas for simple crafts to make and sell? These lighthouse cork coasters couldn’t be much easier! They can easily be completed in a few minutes. The most time consuming part is gluing the jute to the edge. If you are looking for simple crafts to make and sell, these lighthouse coasters are a great choice. If you buy the coasters in bulk or use a coupon at a local craft store, your cost per stamped coaster can be as low as 60 to 70 cents a piece. A quick look at Etsy shows stamped cork coasters selling for $10 to $12 for a set of 4. Most of the sets on Etsy just had a simple image stamped in black. Given that these lighthouse cork coasters are stamped with multiple colors of ink, you could probably sell them at the higher end of that range. So you are looking at profit of $9.60 for 15-20 minutes of work. Not too bad! Whether you want to make them for yourself or as a gift, or you are looking for simple crafts to make or sell, these stamped lighthouse DIY cork coasters are sure to be well received. No one needs to know how simple they were to make! While you are here, be sure to check out the rest of my projects featuring the High Tide stamp set. 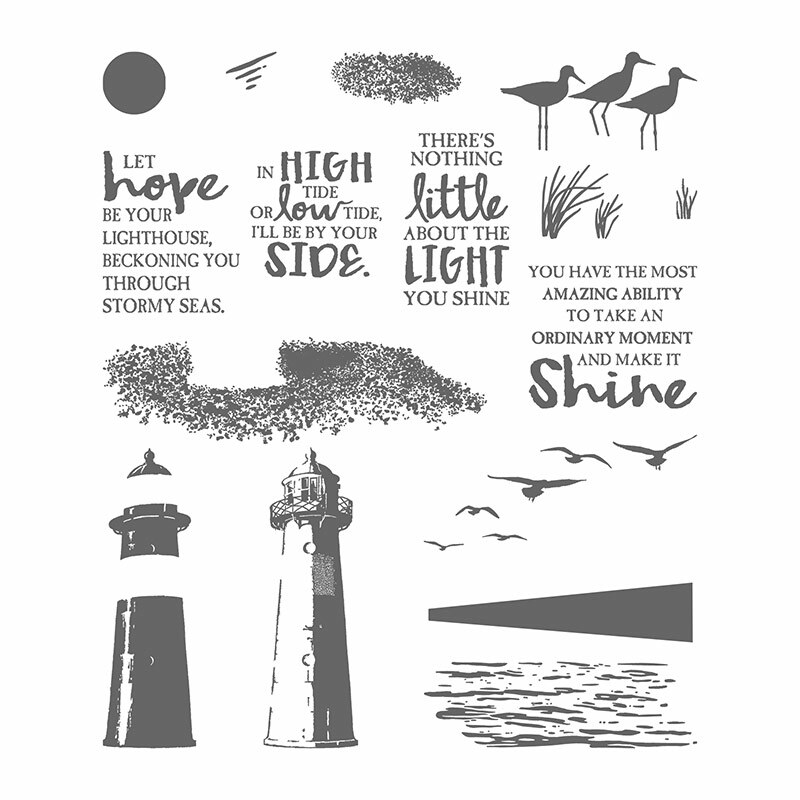 So tell me… What sorts of lighthouse craft ideas would you like to see me make next with the High Tide stamp set? What pretty coasters and what a wonderful idea! I have so many Stampin Up! stamps that I could see lending themselves nicely to this type of project. Pinned. Yes you could make coasters to match any decor using this technique. Thanks for the pin!